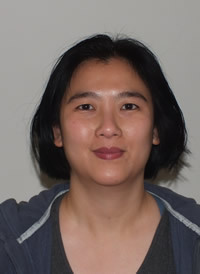 While her background encompasses studying language at the University of Tasmania, teaching English in China, working in a Japanese travel agency, all from a Malaysian heritage, Sou has spent much of her last 10 years embroiled in the motorcycle industry specialising in events, racing, sponsorship and broader marketing duties. What a multi cultural addition to the VMX team! A six year stint as Suzuki’s event/racing coordinator saw Sou actively involved in world product launches plus many weekends of misspent time at local, state and international motorcycle race meetings. Her time at Suzuki introduced her to the wonderful world of vintage motocross and the VMX Magazine crew through a longstanding sponsorship relationship. Her next role as marketing manager with the Australasian Superbike promotors, followed by a stint with Victory and Indian Motorcycles rounded off a broad base of experience in our wonderful two-wheeled world. An events specialist with many Classic Dirt events under her belt, Sou brings her well known passion, enthusiasm and infectious energy to the magazine and vintage dirt bike movement.